Bharata Natyam from India meets contemporary dance downtown, considering what happens behind bars in Leimert Park, starting Merce Cunningham’s centennial celebration in Hancock Park, a locavore Nutcracker in Cerritos, and more SoCal dance this week. Benita Bike DanceArt continues its admirable efforts to demystifying modern dance with the latest edition of its popular program that combines performance with audience discussion. LA Mission College, AMP Theater, 13356 Eldridge Ave, Sylmar; Thurs., Nov. 29, 7 p.m., free. https://www.danceart.org. Benita Bike DanceArt. Photo courtesy of the artists. For its 2018 Winter Dance Concert, Cal Arts’ dance department offers an impressive line up of works from celebrated choreographers with each work set by a former member of that choreographer’s company. The works include Merce Cunningham’s Canfield (1969), Trisha Brown’s Solo Olos (1976), Jawole Willa Jo Zollar’s Shelter (1988), Jiri Kylian’s Fallen Angels (1989), and Rennie Harris’ Facing Mekka (1998). The dances range from modern to post modern, from ballet to contemporary and hip hop. The performances will travel from CalArts to downtown with the final performance shortened for a family friendly audience. CalArts, 24700 McBean Pkwy., Valencia; Thurs.-Fri., Nov. 29-30, 8 p.m., $10. https://www.eventbrite.com/e/winter-dance-concert-tickets-52510198417. Also at REDCAT, 631 W. 2nd St., downtown; Fri.-Sat., Dec. 7-9, 8:30 p.m., $20, $16 students. https//www.redcat.org. Also at LA Dance Project Studios, 2245 E. Washington Blvd., downtown; Sun., Dec. 9, 2 p.m., $5 for two tickets. https://dance.calarts.edu. CalArts’ 2018 Winter Dance Concert. Photo courtesy of CalArts. Contemporary moves and classical dance from India open LA Dance Project’s performance series. A well-known and highly respected teacher and performer of Bharata Natyam, Mythili Prakash offers the premiere of HERE and NOW. Orpheus Highway and the premiere of Homeward, both from LADP artistic director Benjamin Millepied complete the program. L.A. Dance Project Studios, 2245 E. Washington Blvd., downtown; Thurs.-Sun., Nov. 29-Dec. 2, $30. https://www.artful.ly/la-dance-project/store/events/16341. LA Dance Project. Photo courtesy of LADP. 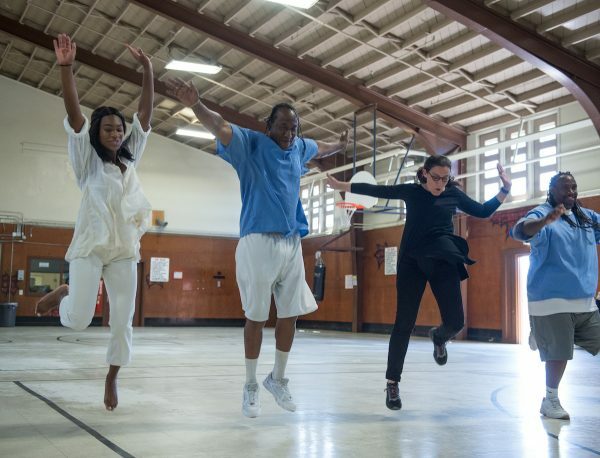 Last year, choreographer Suchi Branfman gathered a group of choreographers and artists who went into a medium security state prison to share their work and creative process with the incarcerated men. 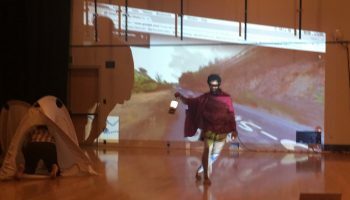 One of those who joined Branfman in the endeavor, multidisciplinary artist d. Sabela Grimes reunites with Branfman for an evening of performance and conversation about the effort dubbed Dancing Behind Prison Walls. Grimes’ Bulletprof Deli is one of the works that emerged out of the experience and considers notions of masculinity and manhood along with the impact of confinement. Art + Practice, 4334 Degnan Blvd., Leimert Park; Thurs., Nov. 29, 7 p.m., free. https://www.artandpractice.org. Suchi Branfman. Photo by Cooper Bates. For the next six weeks, ballet will bloom across SoCal as the seasonal favorite, the Nutcracker arrives. Sugar plum fairies, mice armies, toy soldiers and dancing snowflakes take the stage in dozens of productions ranging from ballet studios to visiting professional companies. 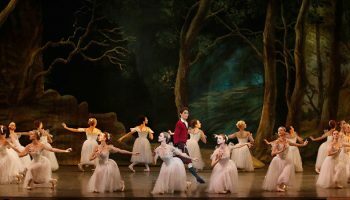 The first professional production out of the gate and one of the best belongs the Los Angeles Ballet, the city’s own professional ballet company. Set in 1913 Los Angeles, LAB’s picture postcard version also is among the most accessible since it tours metro L.A. with performances in Cerritos, Glendale, Redondo Beach, Westwood, and in Hollywood with live music by the Los Angeles Ballet Orchestra. Full schedule and tickets at https://LosAngelesBallet.org. Cerritos Center for the Performing Arts, 18000 Park Plaza Dr., Cerritos; Sat., Nov. 24, 5 p.m., Sun., Nov. 25, 1 p.m., $36-$104. Also at the Alex Theatre, 216 N. Brand Blvd., Glendale; Sat., Dec. 1, 6 p.m., Sun., Dec. 2, 2 p.m., $36-$104. Also at the Dolby Theatre, Hollywood & Highland, 6801 Hollywood Blvd., Hollywood; Sat., Dec. 8, 1 & 5 p.m., Sun., Dec. 9, 1 p.m., $46-$124. Also at Redondo Beach Performing Arts Center, 1935 Manhattan Beach Blvd., Redondo Beach; Sat., Dec. 15, 1 & 5 p.m., Sun., Dec. 16, 1 p.m., $36-$104. Also at UCLA Royce Hall, 10745 Dickson Ct., Westwood; Sat., Dec. 22, 1 & 5 p.m., Sun., Dec. 23, 1 & 5, Mon., Dec. 24, 11 & 3 p.m., $36-$124. https://losangelesballet.org/the-nutcracker. 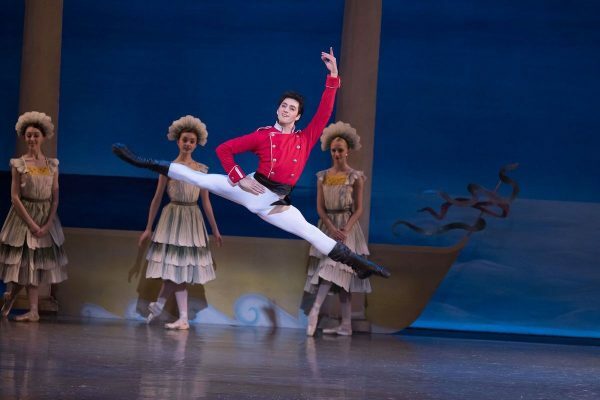 Tigran Sargsyan in Los Angeles Ballet’s “Nutcracker”. Photo by Reed Hutchinson. 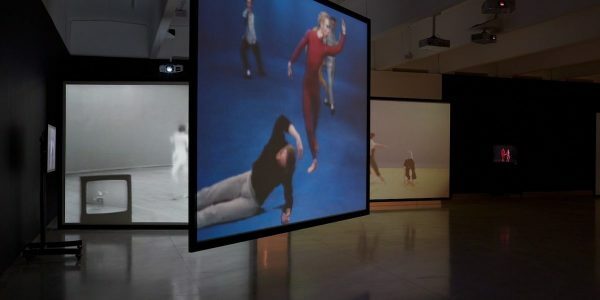 A harbinger of upcoming centennial activities celebrating the life and legend of the late modern dance choreographer Merce Cunningham, Clouds and Screens, includes two large works by Andy Warhol and Charles Atlas, both artists associated with Cunningham’s company. The installation also includes two early videos of Cunningham’s work with more to come during the exhibition’s run. Los Angeles County Museum of Art, 5905 Wilshire Blvd., Hancock Park; Thurs.-Tues., thru March 31, $25, $21 students & seniors (museum admission). http://www.lacma.org/event/memprev_merce2. Merce Cunningham Clouds & Screens. Photo courtesy of LACMA. Yvonne Mounsey and Rosemary Valaire, the late founders of Westside Ballet created a Victorian Christmas card version of the Nutcracker. The respected training company performs with the Santa Monica College Symphony. The Broad Stage, 1310 11th St., Santa Monica; Sat.-Sun., Nov. 24-25, Dec. 1-2, 1 & 5 p.m.; $45. 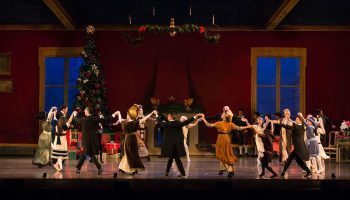 http://www.WestsideBallet.com/nutcracker.